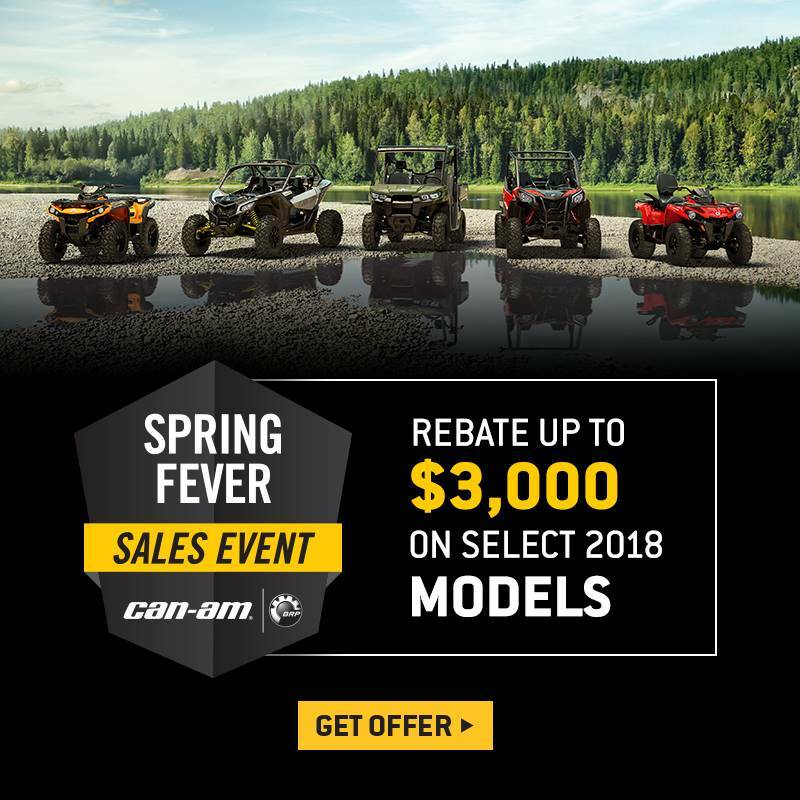 CATEGORY-LEADING PERFORMANCE: Equipped with the 48-hp Rotax 570 liquid-cooled V-Twin engine, with four valves per cylinder and single overhead camshaft, you’ve got the power to get in and out of the toughest mud holes. 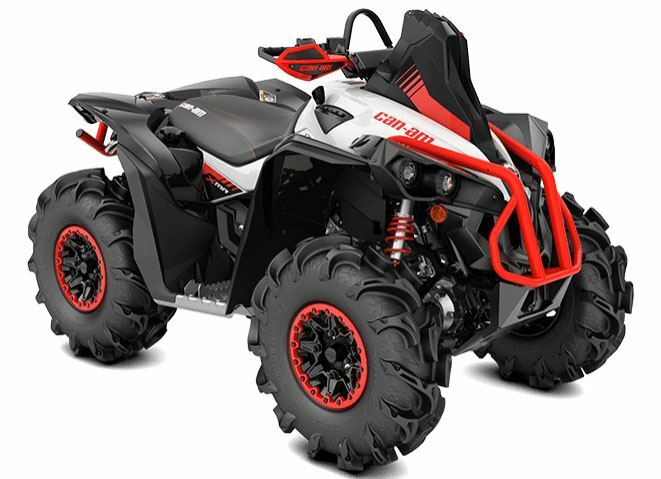 Critical components like the CVT intake and outlet, and as well as engine intake were also relocated as high as possible on the ATV, far from the muddy and wet conditions below. MUD-SPECIFIC TIRES & PERFORMANCE WHEELS: Want the ultimate in mud performance? ITP’s 28-in (71 cm) Mega Mayhem tires were built from the ground up to be ground down: 6-ply rubber construction, tread pattern tuned for aggressive riding. Installed on 12-in (30.5 cm) cast-aluminum beadlock wheels, featuring a mechanical fastening system that makes it nearly impossible for the tire bead to break loose from the wheel during mud riding, heavy acceleration or cornering. PRECISION-ENGINEERED HANDLING: The Tri-Mode Dynamic Power Steering (DPS) offers easy steering assistance to the rider, adapting the level to the vehicle's speed. At lower speed, assistance is increased to reduce steering effort while at higher speed it is reduced to keep maximum steering feel to the rider. On top of that, it is possible choose between three modes to match each rider's preferences. SMOOTH RIDE: The Renegade X mr 570 wears preload-adjustable FOX high-pressure gas (HPG) shocks, front and rear, with a specific calibration to soak up both high- and low-speed bumps and keep the ride smooth. ADDED PROTECTION: Handlebar grab handle provide to the rider maximum leverage to steer the Renegade in the deepest mud holes. Also comes with wind deflectors and square pad for a sport look and protection.